High Risk ACH processing involves an ACH debit to a consumer or business checking account that then may be disputed by that customer as either “Not Being Authorized” or if not fulfilled to consumer’s satisfaction “Authorization Revoked”. By contacting their bank and initiating a chargeback the customer will receive their money back. This means that if they were debited $99 by someone who had stolen bank account information the consumer gets that money credited back to their account. In this case an R10-Consumer Advises Not Authorized. Consumer have a 60 day window to dispute while businesses have a 48 hour window. Let’s use an example where a customer signs up for a dental plan and was debited $70 for 1st month. The customer tries to use the plan and finds out the plan is essentially useless. The customer would call the dental plan provider and ask for a refund. If they can’t get the refund or can’t contact the business they could contact their bank and initiate a chargeback. In this case an R7-Authorization Revoked chargeback is initiated. That customer gets their $70 back. The dental plan’s bank account is debited for that $70. If that $70 CAN’T be debited the the Third Party Processor is potentially at risk of losing that money. This is why the application process in the High Risk ACH Processing realm may be somewhat onerous in comparison to lower risk, By risk we mean LOSING MONEY. Not losing money is a powerful incentive to make sure the business applying for service is legitimate. 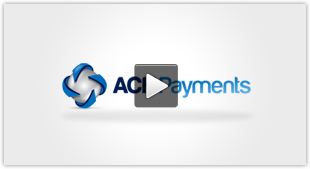 The ACH Processing network was originally designed for recurring payment collection needs. Insurance premiums, mortgage repayment, utility bills etc. All of the above services are considered low risk in that the probability the customer disputes is very low [sub 1%]. With the rise of the Third Party Processor [TPP] that essentially partners with bank to make ACH Processing easy for businesses there was an explosion of businesses using ACH Payment Processing. Some of the businesses are certainly legitimate while others may be set up expressly to defraud the Third Party Processor. Consider a Payday Loan Lender. They lend $1000 to Suzy Jones and then start collecting payments via ACH to satisfy loan conditions. There may be times where Suzy Jones has very little money in her account. The $99 debit from the Payday Loan company was needed to buy groceries. Suzy disputed the debit and even though the Payday company has her written assent to debit [requirement for recurring debits] Suzy’s bank upholds the chargeback and the Payday Loan company is out $99. Again an example: A business applies to the the TPP to collect payments from businesses for Google Listing help. The business looks legitimate and is approved to process $50,000 per month. They have a stolen list of business bank accounts and on the 1st debit those businesses for $50k. If the TPP funds this business before finding out there is fraud they will not be able to recollect these monies as as soon as the fraudsters get their deposit they will close the account and skip town. So the Third Party Processor stands to lose money if fraud and risk exposure is not mitigated. The problems don’t end there. Depending on the extent level of fraud as well as there possibly being more than one instance the Third Party Processor has other concerns. Their partner bank may say “Sorry we are not partners anymore”. This conceivably could put the TPP out of business. The other issue is that the Government my come calling to make sure the TPP followed all rules. If not in compliance fines are typical the best case scenario with in some cases [being complicit with fraudster] criminal prosecution. For legitimate businesses operating in industries with increase chargeback risk there are solutions. 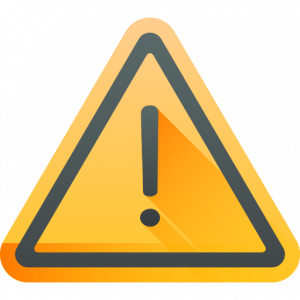 It is important to note that NACHA rules require chargeback percentages to be under 1 %. There typically is some leeway when beginning but through check verification solutions and in some cases balance checking the account the 1% threshold can be maintained.